In general, budgies are healthy and energetic. They also hit the genetic jackpot by evolving to be the parakeet species with the longest lifespan. Even so, many die as young as two to five years old. This happens so often, many people think budgies have naturally short lives. Sadly, this is not normal. When given prime care, a budgie can live between eight and fifteen years. That's the same age range as a dog. There are reports of birds reaching twenty years. That's beyond most dogs! A happy budgie doesn't hide its mood. 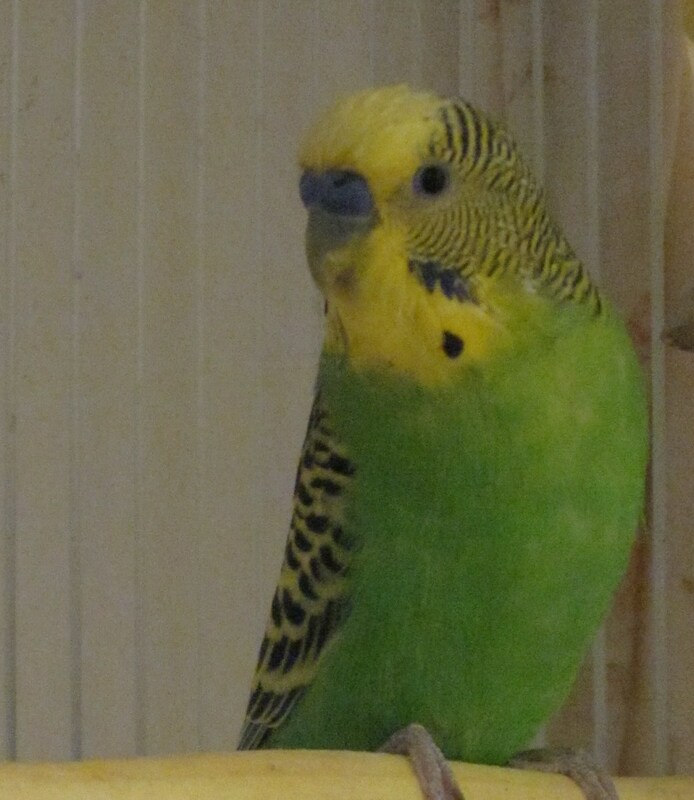 It mutters and chirps, engages with other budgies, feeds and looks perky. It might even brawl a little. When there's something wrong, it's just as obvious. 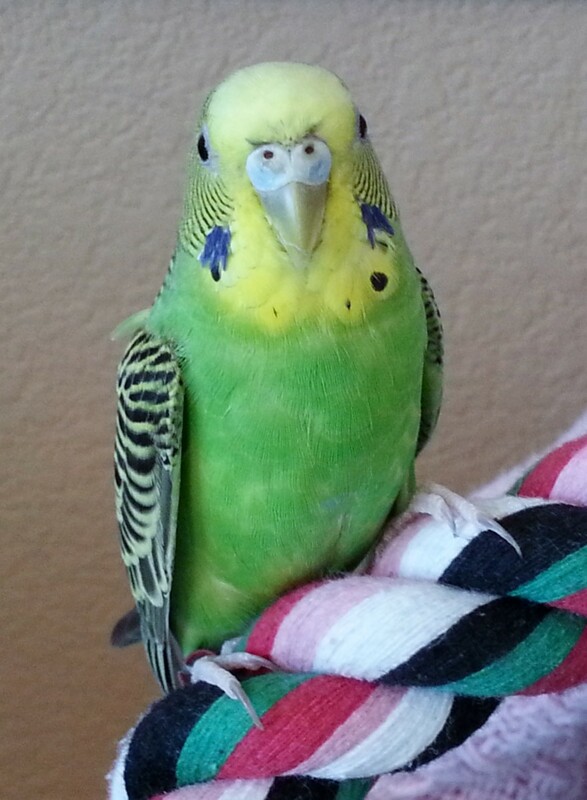 A sick budgie looks sick and a stressed budgie will behave in a frightened manner. However, it's not always easy to determine what's going on. You can be sure, though, that it's caused by some kind of stress. Nothing shrinks a pet budgie's lifespan as fast as stress. Resolving this problem is not as easy, since there several ways a parakeet can experience agitation. It can be environmental, physical or mental and not immediately obvious. This article will deal with the main stresses and how to lessen their impact. Budgies like space and safety. They appreciate routine and mild days. A successful environment for a pet parakeet is a large cage, semi-covered at night for comfort and darkness. The cage cannot be placed in a draft or a room that is too extreme in temperature. If placed outside for a little while, this should ideally happen under supervision, since predators can try their luck. Budgies can also overheat if placed directly in the sun for too long. To understand why budgies experience stress, one needs to understand one important biological fact about these birds. They are hardwired to be social. 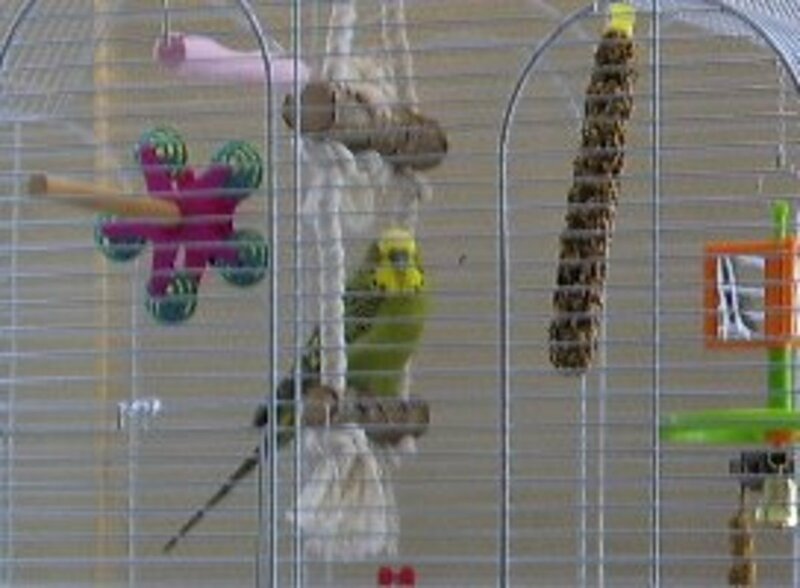 Budgies can and do live alone in cages. However, this is not ideal. 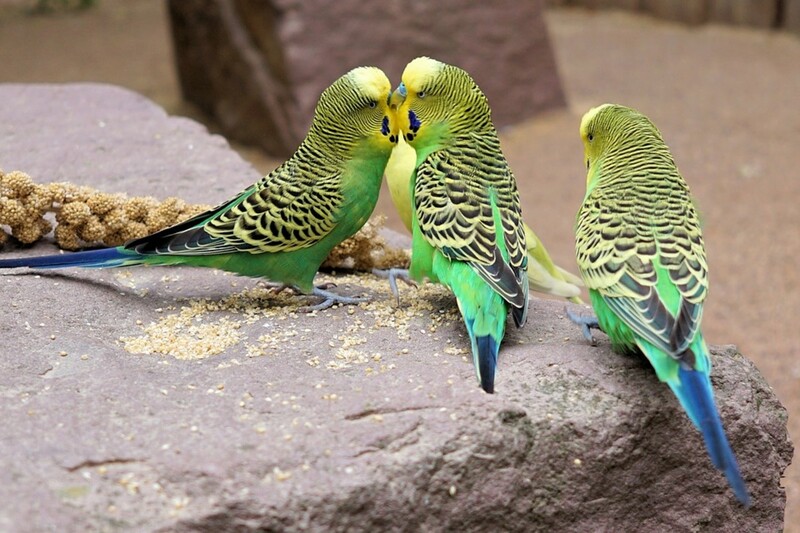 Budgies prefer their own kind because they develop a social order, groom each other, court and the presence of a “flock” (even if it's just one other), makes them feel safety in spades. A lone bird often develops mental issues from boredom, loneliness and fear because it's the only bird, lacking safety in numbers. Even toys and human companionship cannot offer all the benefits of another parakeet. 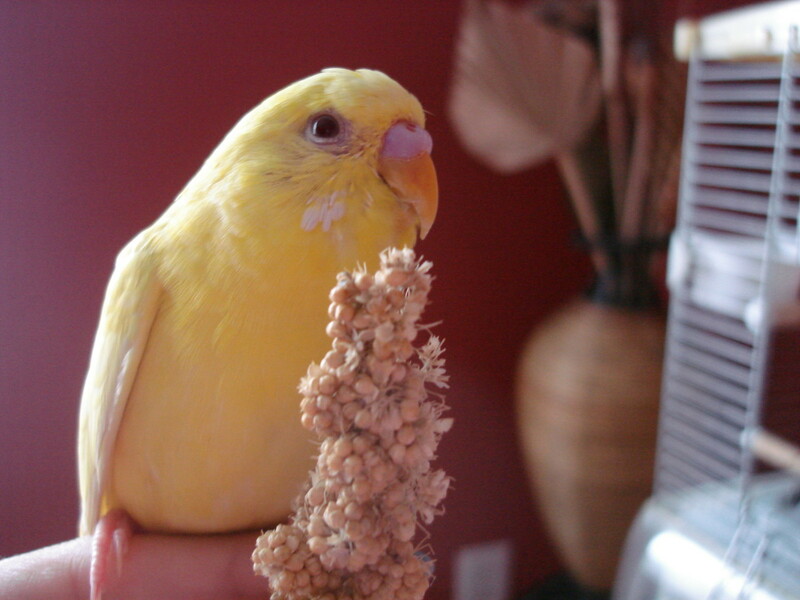 Physical stress to budgies is caused by injury, disease or incorrect diet. 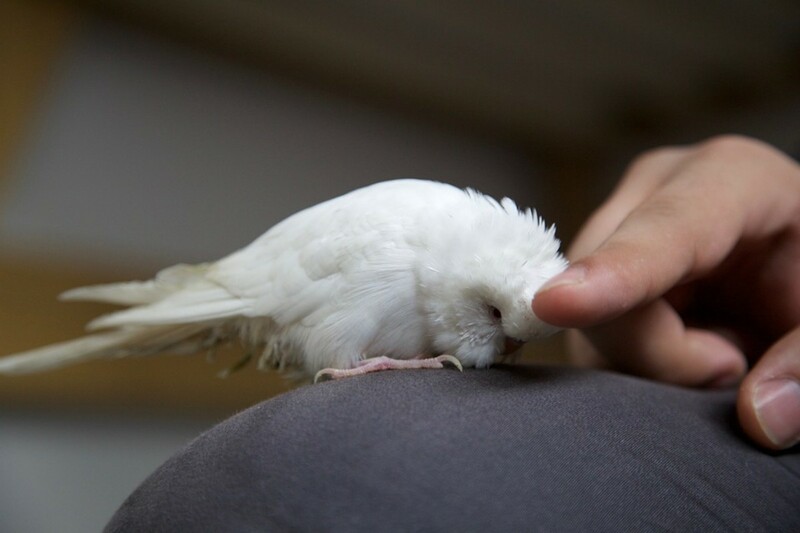 Deciding to deal with a hurt or sick budgie at home can have fatal consequences. Sure, a trip to the vet can cause a bus load of stress but unless you are an experienced handler, one cannot always treat injuries at home. Certain afflictions and diseases can be treated without a professional, but to stay on the safe side; nothing beats veterinary input. The best course of action is preparation. 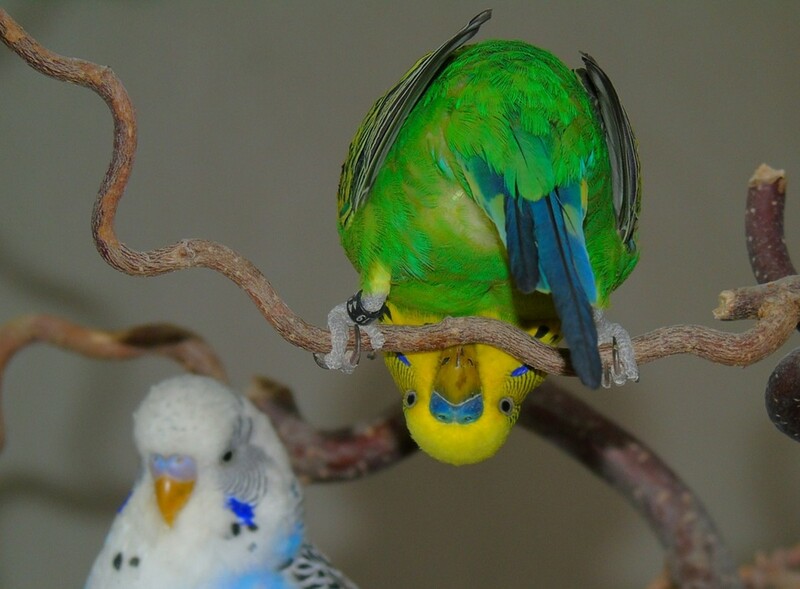 Brush up on the most common injuries and diseases that befall budgies. It lessens stress for the owner to understand the “enemy” before a crisis hits. Self-study reveals which cases one can be dealt with at home (and the treatment supplies needed), and which needs professional help straight away. Insufficient diet is a major cause of early deaths among budgies. A seeds-only diet cannot provide the energy and nutrition these highly active birds need. The seeds you choose for your pet should also be high quality and preferably not the cheap, supermarket stuff that smells dusty when you open the box. Iodine nibble blocks and cuttlefish bones for calcium. 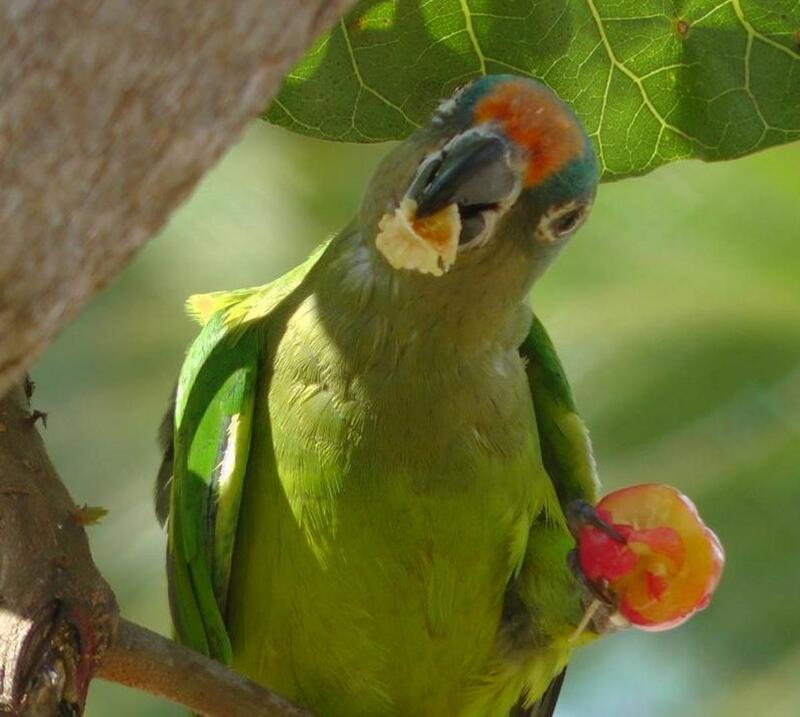 For greens and fruit, raw is best and avoid anything that might clog the bird's throat or nostrils (so, no banana). Consider apple, carrot, parsley, spinach and pumpkin (cooked and cooled). There are plenty more, but always research a new food before offering it to your pet and begin by introducing it in small quantities. Research is a must, since some edibles, like avocado, is deadly. 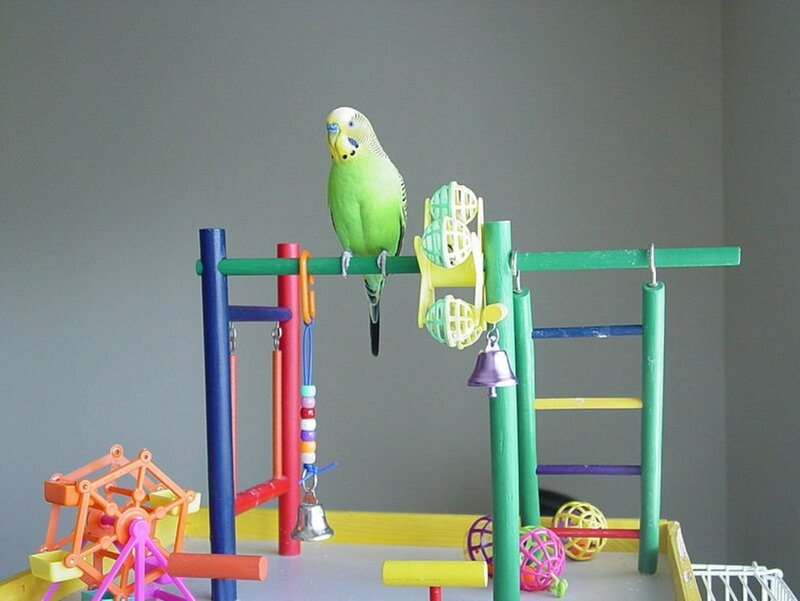 The notion that a budgie is happy in a medium cage where it can hop from stick to stick, clamber the bars and swing upside down from a toy, is not healthy. Returning to the fact that budgies are flock birds, they need exercise. If you look at the shape of a budgie, you'll see it was designed to fly—aerodynamic down to the last feather. Experienced breeders and keepers have flight cages but keeping a giant cage is not practical for everyone. If possible, buy the biggest home you can and add toys that challenge these highly intelligent birds. That might also help. 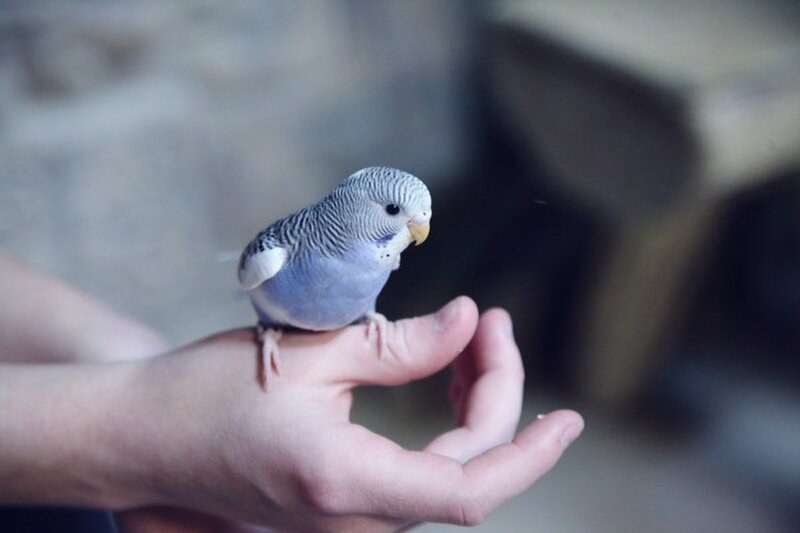 A budgie left with no stimulation, physical or otherwise, can weaken and develop a lower resistance to infections and most probably, a shortened lifespan. 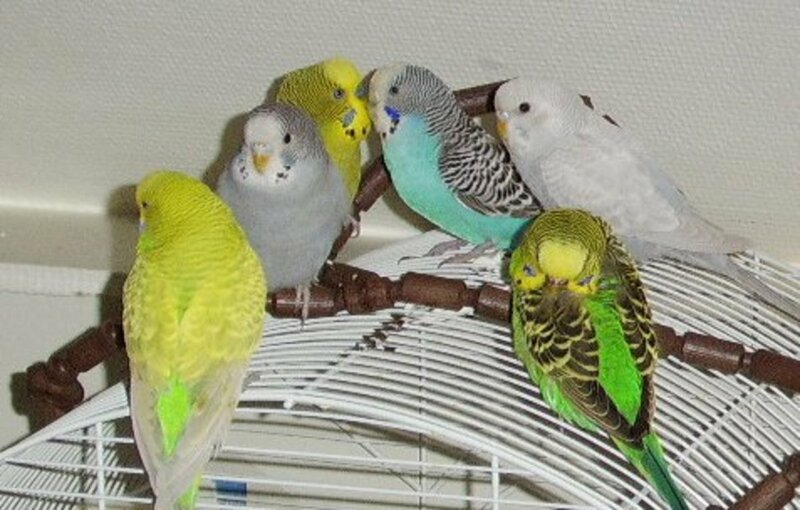 When choosing to buy a budgie, one can look forward to years filled with a social, entertaining pet. This bird is fragile when persistently neglected in certain areas, such as bad feeding, but over all, budgies are resilient and one of the easiest parakeet species to care for. All it takes is a little bit of knowledge and the willingness to prepare against the most common dangers.